A couple of months ago I was asked to tutor a five-and-a-half-year-old girl in French, as one set of her grandparents lived in France but her parents spoke very little French. Having taught French to pre-school children for more thirteen years, I had a picture book, flash cards and various other materials, but I decided it would be a good idea to have a workbook to go through. 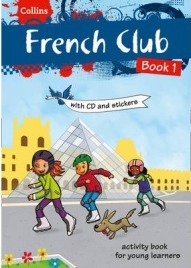 I found French Club Book 1 on Amazon and was pleased to see that it had an accompanying CD. The book is recommended for children aged seven to eight but I haven’t found it beyond the capabilities of my pupil, who hasn’t quite reached her sixth birthday. Is That a Fish in Your Ear? by David Bellos, with the subtitle Translation and the Meaning of Everything, is a study of the world of translation. What is translation, what does it mean to translate, the history of translation, the pitfalls and different types of translation…these are all areas which Bellos looks at. 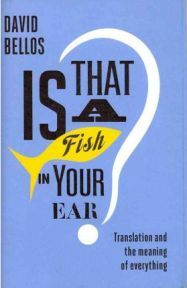 Having studied languages to an advanced level, and with an additional focus on translation, Is That a Fish in Your Ear? is a book which appealed to me. I was interested to learn more about this field – I may have studied translation itself, but I know little of the history or the issues surrounding it. 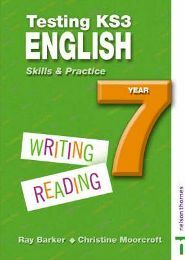 This is a textbook designed primarily to assist students with Unit 2 or Unit 5 of the AQA GCSE English Literature specification. These two units focus on poetry; Unit 2 is assessed by means of an exam, and Unit 5 by Controlled Assessment. The book is aimed at students who are capable of raising their level of achievement from a grade B to a grade A, and then up to an A*. The book starts off with an introduction and is then divided into six chapters. 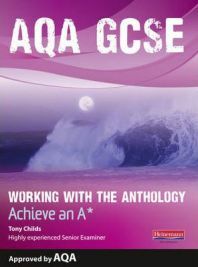 The first four of these concentrate on the poems that feature in the AQA Anthology. Chapter 5 deals with Section B of the exam, in which students have to respond to an unseen poem. The final chapter gives a practice exam paper as well as mark schemes and explanations. When I lived in Cairo, I often used to watch the local television news bulletin in English. Rain is a pretty rare occurrence there, so one evening the Egyptian newsreader thought that a particularly heavy downpour was worth commenting on. He decided to go for a familiar colloquial expression to appear like a native speaker, and came out with ‘It’s been raining dogs and cats.’ It sounded so strange switching the order of the animals around, and next day at the English school where I taught everyone was have a chuckle over it. It is a difficult thing, getting colloquial language right in any language other than your own. 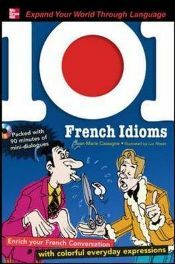 I certainly don’t remember being taught any French idioms at school or during the Open University courses I completed. 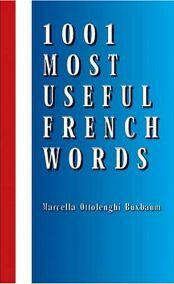 I’m not quite sure why this book was given that particular title, as the blurb says that ‘its contents encompass more than 1,000 of the most frequently used words in the French language.’ I’m afraid I have not counted the exact number, as I was more interested in reading the contents! The book is divided into three sections. The first of these is the Alphabetical (Dictionary) Section covering forty-nine pages. After this comes a Category Section which is four pages long. The book ends with a one-page section entitled Vocabulary tips. A wide choice of materials is available for beginners learning French, but resources that help you attain fluency and study the finer, more advanced points of grammar are harder to find. One that definitely warrants consideration is Teach Yourself Improve Your French. It comprises a book and two sixty-minute CDs for learners at intermediate level. The ten units contain dialogues with explanatory vocabulary lists and language activities based upon the dialogues. There are in addition two of Victor Hugo’s poems, one or two passages about France’s geography, economy and education system, a weather forecast and a President’s New Year address. Business vocabulary is introduced as well as colloquial style. You can hear an official phone call and a more informal one on the CD, and learn how to compose a letter as well as fill in forms in French. THE FRENCH EXPERIENCE 2 enables you to progress through intermediate level French, increasing your fluency and understanding. The book contains six test papers, each of which focuses on a particular topic such as school, monsters, woodlands or football. Each test paper includes three passages for reading followed by comprehension questions of different types and then a writing test related to the topic. For example, Test Paper 3, entitled Times of celebration, has an extract on Christmas, a fictional passage centring on bonfire night, and a poem entitled ‘Diwali in Kerala’. In actual fact each test paper features one poem. Whether you are embarking on self-study or a private tuition course in French, The French Experience 1 is worth considering. Writing and grammar are not over-emphasised, but if you wish to speak, understand and read texts, there is a wealth of material here. Each unit focuses on a particular topic such as health, travel, food and drink, professions, holidays and so on, providing useful vocabulary for tourists as well as residents. 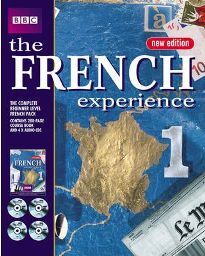 The CDs contain authentic dialogues and interviews recorded in France; within each unit the recordings concentrate initially on listening and recognising vocabulary, and then on the learner producing similar language through role-play. 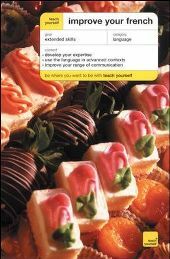 A glance at the back-cover blurb reveals that this book contains more than 4,000 test items as well as exercises to help with communication activities. It is divided into chapters that make information easy to find. When introducing a particular aspect of grammar, an explanation is given, followed by examples that use bold for the words that this grammar point focuses on, and a translation of each example into English in italics. 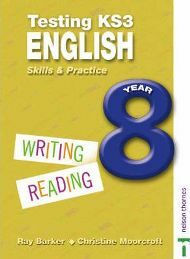 Testing KS3 English: Skills and Practice, Year 8 contains six test papers based on the themes of Work, Science fiction, Prejudice, Families, Wolves and Dancing. Within each test paper are three reading passages, each followed by questions, and two writing assignments, one major and one minor. The first reading passage in each paper is a shortish one, the second requires ‘more complex skills’ to be used, and the third is intended to provide an opportunity for more independent work by the pupil. All except two of the reading passages have coloured drawings accompanying them, which would encourage a visual learner or a less confident reader. Year 8 in England and Wales is the second year of secondary school, when pupils are aged between twelve and a half and thirteen and a half. By now they should be used to their school and have begun to develop a more independent way of working. The front cover of this book bears a warning: ‘Highly inflammatory text inside. Do not open near French teachers. 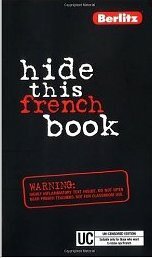 Not for classroom use.’ Slang or ‘argot’ is very commonly used in French, and one or two publishers have seen an opening here for a book that teaches you the kind of language that is deemed unsuitable for reputable courses or text books. 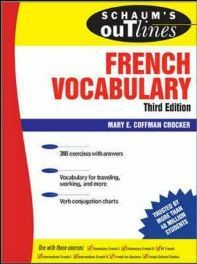 Intended for those who already know a certain amount of French, this book will not teach you any verb conjugations or any other grammar for that matter. It will teach you everyday expressions, slang and even swear words. However, anything likely to cause offence will be marked as such: a thermometer with a low level of mercury indicates an expression that is to be used ‘with caution’, whereas a thermometer with a high level of mercury means that a phrase is extremely offensive.